DETROIT (Bloomberg) -- U.S. auto sales probably rose to the highest level of 2010 last month as model-year closeout deals drew consumers back to showrooms. Industrywide deliveries, which are released Tuesday, may reach an annualized rate of 11.9 million vehicles in July, the average of eight analysts' estimates compiled by Bloomberg. That would be 5.3 percent higher than last year's 11.3 million pace and the best month since August 2009, when the U.S. government's “Cash for Clunkers” incentive program inflated sales. Automakers are offering discounts that are 3.8 percent higher than a year earlier to clear out 2010 vehicles and make room for new models, according to industry researcher TrueCar.com. The gains would indicate that sales, while still below historical levels, are steadily improving, analysts said. Ford Motor Co. and General Motors Co. may outpace the overall industry's gain in July, with sales rising 10 percent for each, the average of five analysts' estimates. Chrysler, aided by deliveries to large buyers such as rental-car companies, will have sales increase 2.2 percent, the average of five estimates. The sales gains would come after industrywide deliveries dropped to an 11.1 million pace in June, feeding concerns that the auto recovery was stalling. Discounts and incentives, while higher than last year, were reduced 1.3 percent from June to an average of $2,831 per vehicle, according to TrueCar, which is based in Santa Monica, California. The promotion of the clearance sales may have driven demand more than the actual terms of the deals, said Jessica Caldwell, director of pricing and industry analysis for Edmunds.com, also in Santa Monica. “The deals have been pretty flat since April, but it's the advertising and that people know summer is a good time to buy because of the closeout sales,” Caldwell said. 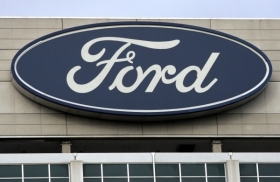 The sales decrease in June may represent an “aberration” rather than indicate a slowing market, Ford Chief Financial Officer Lewis Booth said last month. Still, consumers remain “jittery,” Booth said. The New York-based Conference Board said last week that consumer sentiment fell to the lowest level in five months, and the Federal Reserve said economic growth slowed in some areas of the U.S. in the past two months. Japanese automakers increased incentives more than their U.S. counterparts, according to TrueCar. Honda Motor Co. boosted discounts by 60 percent, while Toyota Motor Corp. raised incentives 36 percent and Nissan Motor Co. lifted them by 18 percent. Ford's 17 percent boost was the only increase among U.S. automakers. Nissan may have fared best among the Japanese automakers with a 6.8 percent July sales gain, the average of four analysts' estimates. Credit Suisse analyst Chris Ceraso wrote that “Nissan could be a winner” because it offered deals such as zero-percent financing on Maxima and Sentra sedans. Toyota's sales may have fallen 7.4 percent, the average of four analysts' estimates. The world's largest automaker is slowing after it offered expanded incentives earlier this year to blunt the effect of its recall of more than 8 million vehicles for defects linked to unintended acceleration, Barclays Capital analyst Brian Johnson wrote in a July 23 note. Honda's sales may have risen 0.8 percent, according to the average of four analysts' estimates. GM is gaining sales from discounts of as much as $5,000 off Impala sedans, Caldwell said. GM also is benefiting from a comparison to last July, when deliveries suffered as it emerged from a government-sponsored bankruptcy. Ford's gains are coming from redesigned models such as the Fusion, Taurus and the new Fiesta subcompact, said Beau Boeckmann, vice president of Galpin Ford in Los Angeles. Ford's U.S. market share rose to 17.5 percent in the first half of the year, from 16.1 percent in the same period last year. Industrywide sales this year may be 11.6 million vehicles, still among the slowest since 1950, TrueCar estimates. Last year, U.S. deliveries of cars and light trucks fell to 10.4 million, the lowest since 1982. Annual U.S. auto sales averaged 16.8 million vehicles from 2000 through 2007. The rate through the first half of 2010 was 11.1 million, according to Edmunds.